Pointwise is looking for the premier mesh generated in 2012 using our software. The winning entry in our contest will be awarded the Meshy Award trophy at the Pointwise User Group Meeting on 20 March 2013. Appreciating the beauty and intricacies of a masterfully designed mesh, Pointwise inaugurated the Meshy Award to showcase the best of the best. Entries are judged on visual appeal, originality and uniqueness. To enter the contest, complete the form that can be found on the Pointwise User Group Meeting website, www.pointwise.com/user-meeting. The deadline for entries is 22 February 2013. 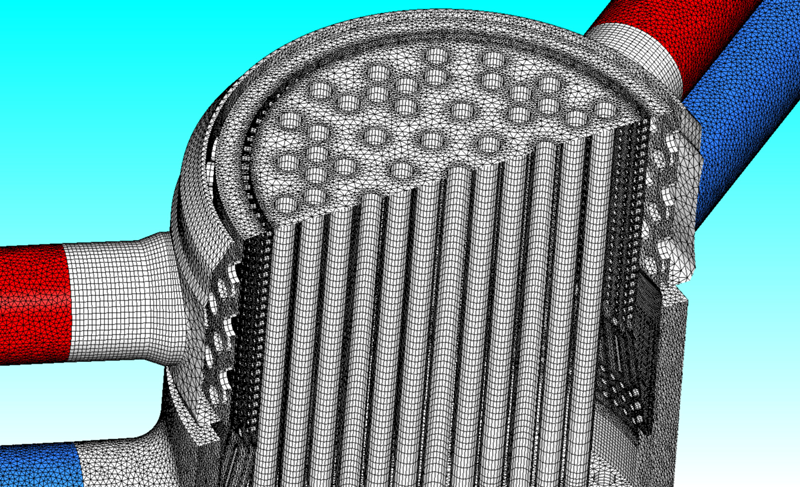 Dr. Michael Böttcher of Karlsruhe Institute of Technology earned the 2011 Meshy Award for his meshes generated in conjunction with a project involving steam generators and pumps for a power plant. Dr. Böttcher has been working in computational fluid dynamics (CFD) since 2001, including projects such as modeling of chemical reactors, nuclear pressurized water reactors, liquid metal flows (lead-cooled systems) and multiphase flow phenomena (boiling water reactors). Figure 1: The 2011 Meshy Award winner was Dr. Michael Böttcher of Karlsruhe Institute of Technology. At the award presentation, Dr. John Steinbrenner, vice president of research and development at Pointwise, commended Dr. Böttcher because his mesh and images demonstrate a profound understanding of the physics, an expertise in the Pointwise meshing software, and the ability to present results in a straightforward yet elegant way. “It is the work of scientists like Dr. Böttcher that furthers the expanding Pointwise reputation of excellence,” Dr. Steinbrenner said. 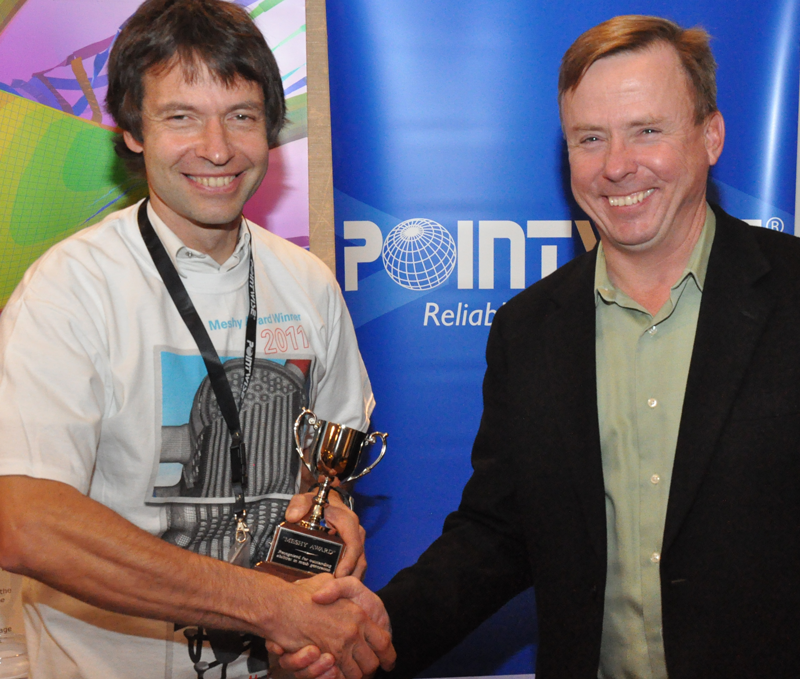 Figure 2: Dr. Michael Böttcher of Karlsruhe Institute of Technology, left, was presented the 2011 Meshy Award by Dr. John Steinbrenner, vice president of research and development at Pointwise. The 2013 award winner will have their name added to the Meshy Award Trophy and have their mesh featured on a T-shirt to be given to Pointwise User Group Meeting attendees. In addition, they will have the opportunity to make a short presentation about their mesh during the meeting. Additional information is available found on the Pointwise User Group Meeting website, www.pointwise.com/user-meeting. As entries are submitted, they will be added to a photo album on Pointwise's Facebook page, www.facebook.com/Pointwise.